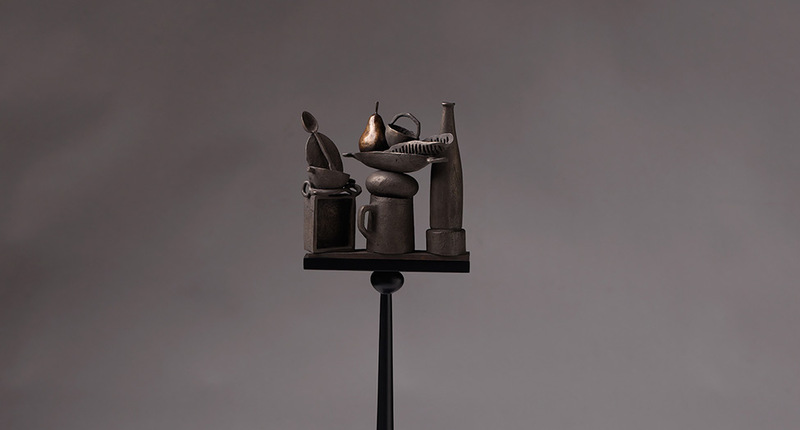 Still Life 1 is one in a series of works, where my intention has been to explore a sculptural narrative. 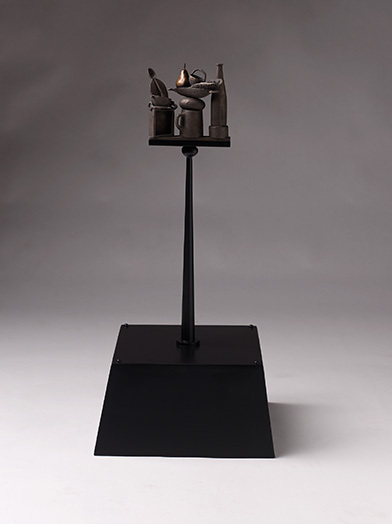 With these pieces, the sculpture is deliberately made in two parts. I like to make the base a dominant part, and in some cases overpowering. Sitting firm and visually heavy on the ground, its structure becomes a perch or stage for a more detailed intimate place. The focal point is a still life, composed of objects of every day life, poised and balanced upon one another. This is a collection of items with which the viewer can relate and feel familiar with, to ponder and create their own story.